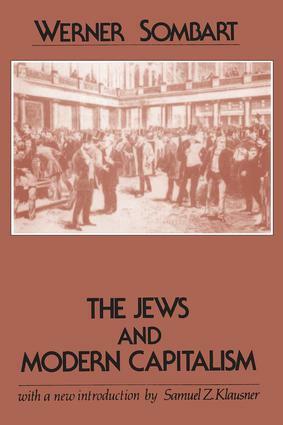 Since its first appearance in Germany in 1911, Jews and Modern Capitalism has provoked vehement criticism. As Samuel Z. Klausner emphasizes, the lasting value of Sombart's work rests not in his results-most of which have long since been disproved-but in his point of departure. Openly acknowledging his debt to Max Weber, Sombart set out to prove the double thesis of the Jewish foundation of capitalism and the capitalist foundation of Judaism. Klausner, placing Sombart's work in its historical and societal context, examines the weaknesses and strengths of Jews and Modern Capitalism.